At times you will get some grinding noise from your car especially when braking which is warning of a problem with the rotors or brakes. Sometimes the driver will ignore the noise either fearing the cost or tending to take more time to repair it. 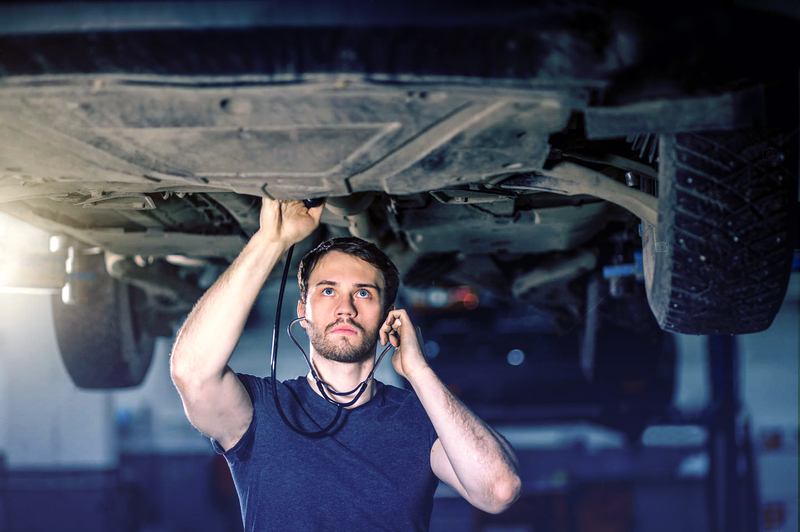 Not all sounds are harmful as a car can make various sounds but some might be harmless. But for grinding noise when you press the brakes it should be taken serious. Every time you press the brake pad, the car due to friction will generate a lot of heat which will cause the brake pads to wear out over time and eventually damage the caliper and rotor leading to break failure. Faulty brakes will put you in a danger zone as it is a major cause of major accidents on the roads. Hence to avoid worsening the problem it is advisable to visit a garage for repairs and replacements if need be. There are some major causes of the grinding noise which need to be identified in order to avert serious problems. All car parts will wear and tear at some point but note the causes that will guide you to take your car into a repair shop. Using the brake pads for a long time will cause the plates to loose material causing metals to come into contact thus making grinding noise. Many drivers will tend to go for low quality brake pads in order to save some money but this is not a good choice as the brake pads may contain metal chucks. This chuck will rub and scrape the rotor surface and heavily damage it. When the shim wears out, it may come into contact other parts like the rotor. This will cause metal touching creating noise and at times some vibrations. This is a rare case but will cause grinding noise when braking. A damaged wheel bearing will cause grinding noise or vibrations which change from low to high. Leaving the car in a garage or not using it for a long time may cause noise problems as bad weather can lead to corrosion and rust on rotors. Solid objects may be held between rotor and caliper and will cause some noise when the brake pads are pressed. Tags: autoenginemounts, Automobile, automotive, Autoparts, BrakePads, BrokenShims, CaliperBolts, car, car care, CarProtection, noise, RotorDiscs, SoundOfYourCar, WheelBearing.